She received me in her arms, embraced me and ‎​ patted me on the head. i remembered when i was 5years old during one of her trips outside the country, she got me what we all know as “to-match” designer jacket and‎​ shoes, yeah i saw a picture and‎​ how i beamed with smile in it. Pleasant memories i won’t forget in a jiffy. Across the world today, we celebrate mothers, but i celebrate mine every day. i keep wondering why we don’t attach much importance to our fathers. Well the father is equally important because if it wasn’t for his X or Y chromosomes, i wouldn’t be a man today thanks to his Y-chromosomes. So let’s celebrate them as well. She stayed awake and‎​ watched me in my cot all night she probably was scared of a cot death. She became my early source of inspiration, her words gave me direction in the most bewildered state. She raised me to be an understanding and‎​ caring man. She would stay awake all night, on her knees and‎​ pray for me. She would call me up every morning just to pray with me. In many words and‎​ sentences, i can’t describe the joy in me while i wrote this piece. 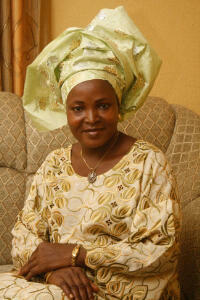 You are a woman of inestimable worth and‎​ i appreciate you my mother. Thank you so much for being there. i dedicate this blog post to my mother, and‎​ to all mothers across the world, Am i forgetting something…no i won’t…yes and‎​ to all ladies i have met at some point in life who will become a mother. i should stop here for now as i am literally shedding tears of joy. Love you all.